WSO2, whose open source middleware powers eBay, has produced a service-building platform that can be used on top of cloud software for the rapid deployment of multi-tenant applications. 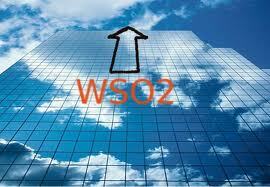 Among other things, WSO2’s Stratos 2.0 can be used on top of OpenStack. The addition of Stratos 2.0 to the library of available open source cloud software may have a long-range impact that’s hard to foresee. Samba, for example, didn’t look like a deal breaker when it first came out. But its ability to make Windows files useful on a Linux system, and vice versa, spurred the growth of Linux servers in the data center. In addition, Stratos appears to be about to become an Apache Software Foundation project, a natural move since it’s already been accepted into the Apache incubator, and WSO2 developers are frequently found on lists of contributors to and committers of existing Apache projects. If Stratos joins Tomcat, Hadoop and the Apache Web Server as Apache code, that “Good Housekeeping seal of approval” will give it quick entry into some enterprise shops. There are already several major platform-as-a-service (PaaS) players — e.g., Google App Engine, Red Hat Open Shift, Microsoft Azure, Salesforce.com’s Heroku and Engine Yard, which soon moves onto Azure as well as AWS — but WSO2’s Stratos 2.0 brings a new, plug-in cartridge architecture to the cloud software-building party. You can plug a MySQL cartridge into the Stratos platform, for example, and provide a database service to a multi-tenant application. Likewise, the PHP scripting language can be activated with the addition of a cartridge. WSO2 also provides a set of Web service middleware, its Carbon suite, that’s available through plug-ins to become instant application services. That includes a message broker, an application server based on Tomcat, an API manager, an enterprise service bus for connecting services to legacy applications or other services, a service governance registry, a business rules server, an identity server and a business activity monitor. In other words, if you’ve got a transaction or other business function you would like to mount on the Web, the Stratos 2.0 platform will help you establish it quickly as a multi-tenant service. The Web middleware was designed to be lean, using lightweight representational state transfer Web interfaces instead of SOAP or older generation APIs. Among other functions, it provides scaling, self-service provisioning, metering, billing and resource pooling, WSO2’s CEO Sanjiva Weerawarana said in a statement announcing Stratos 2.0’s launch. The platform can run on top of a variety of cloud environments, including Amazon Web Services, VMware’s vCloud Suite, Eucalyptus Systems, Suse OpenStack, CloudScaling and other OpenStack products, Weerawarana said. Likewise, applications developed through Stratos 2.0 can be deployed to AWS, VMware, Eucalyptus, OpenStack, CloudScaling and most other public cloud infrastructure sites, Weerawarana said in the announcement. The platform also features a Cloud Controller, which keeps a map of the components relevant to a cloud application deployment. As new services are deployed, the controller informs the core services available to it and supports hot updates to those services. The controller acts as a bridging mechanism between the application’s operation and the cloud infrastructure. If the application approaches a threshold marked as underperforming, the controller can authorize additional servers to be commissioned to scale it out. Michael Miller, VP of global alliances at SUSE, said in the announcement that the “innovative” WSO2 cartridge approach will allow third parties to supply cartridges linking their own middleware and application add-ons to the platform. The cartridge approach is a sort of latter day service-oriented architecture; it allows some legacy systems to be given an object wrapper and called and used as a service, even though their design predates cloud services. WSO2, a name that can be interpreted as oxygen for Web services, was founded by Weerawarana in 2005 in Columbo, Sri Lanka, and it has offices in Portsmouth, U.K., and Palo Alto, Calif.
My partner and I stumbled over here coming from a different page and thought I may as well check things out. I like what I see so now i’m following you. Look forward to finding out about your web page yet again.